Happy Friday, to you. I do hope this post finds you all well. 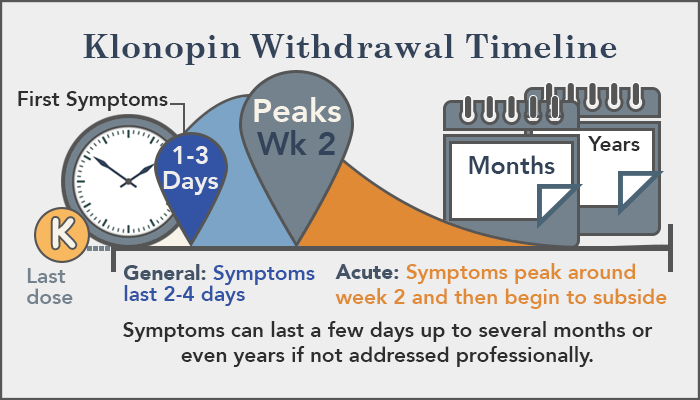 I thought I would check in with an update pertaining to the withdrawals I have been experiencing from Klonopin. Originally, the doctor or I should say, her nurse told me to check into the Psych Ward in the hospital. This was not an option as far as I was concerned. I was in that place once when I was suicidal, and I swore to myself… That I would never go back there. Plus for the mere fact, I don’t have health insurance. The doctor called back the following day and instructed me to triple my dosage of Vistaril. 2 at night, 1 during the day. This added to all the other medications I’ve been taking. I’m happy to announce that the tremors and nightmares have subsided. However, with the little appetite that I have had, whatever I consume goes right through me. I have basically been sleeping this entire time. My mom and I have spoken twice a day as she has been so worried about me, plus my friends have been my rock since this all took place. I also want to thank those of you who have sent such warm messages as well as suggestions to get through this horrid experience. All of you mean the world to me. I know this is a short update, but I’m still a bit fuzzy in the head and very tired. This basically wiped out most of my energy. So, it’s back to bed I go. Oh, before I forget. I was mistaken on how long I was on Klonopin. I thought it was 9 months, it was more like a year and a half. I wish like hell that I was never put on this medication, as this has been no picnic coming off of it. Hopefully, I’ll feel much better by the weekend, or at least the end of it. For now, back to bed. Take Care & God Bless you all! Well wishes Beckie. I rejected drugs for my fibromyalgia due to possible addiction. Glad I did. I’m happy to hear that you rejected them too. I wish I had known beforehand that this could have happened, or I would have rejected this too. Your welcome Beckie. Your light will shine again soon, and brighter after your storm. Aww… Thank you, so much. I miss blogging and reading so much. But I have to wait for my vision to come back and the headache to pass. I’m glad sleep is becoming more manageable and I hope that eating becomes a little easier soon. Hard to self-care when your body turns on you in the process. Hang in there! Hang in there Beckie. I hope it all passes soon. You sure have been through a lot Beckie and I am so proud of you for not giving up on yourself! I know this was a difficult adjustment for you, but you are almost through the worst part of it all! To be honest with you, my pain management doctor made me chose between pain medication and Xanax for anxiety, this was an awful decision to make. I am a very anxious person and that tends to cause bad affects for the MS, but the pain from the MS is terrible as well. I remember coming off the Xanax was a terrible few days, but I tapered off. It was still SO frustrating and I do believe the pain doctor was lying with his BS reasons. Imagine that, the pain doctor was being a pain!!! I hope you are able to sleep through the rest of the withdrawals and you will be as proud of yourself as I am of you!! Best wishes sweetie and I am here if you need to vent!! Hello, Alyssa! Yes, I can most certainly imagine a doctor being a pain. Mine called again yesterday and told me to stop taking Lexapro because it doesn’t interact well with all the Visteril I’m taking. I saw her on 07/03 – it’s now 07/21. I’m convinced she never read my chart at all before I saw her. I wish my doctor was back from medical leave. Today, I’m going to attempt to do some chores. Hopefully, I can pull it off without wanting to sleep again or feel dizzy. I’m just going to take my time and test myself. LOL! Thank you, for being such a great friend and a tremendous source of support. Love you! When is your doctor going to be back from medical leave? If you feel like this doctor you saw has not read your chart, call her out on it! Does the medicine she wants you to stop taking help you at all? I hope the chores went well and you took it easy on yourself! The dizzy feeling can be kind of scary. I have honestly learned how to just embrace it and not get nervous. It really is good to test ourselves to see what we can handle. I really am happy to be able to offer support and encouragement for you!! Sending you lots of love Beckie! Hello, Alyssa. I have no idea when my doctor is coming back, but the doctor they assigned to me is the head of psychiatry. I was able to accomplish taking a shower, changing the sheets on my bed, cleaning out the fishbowl, went to the supermarket, then came home and watered my plants. By the time I was done, I dived back into bed. Was very dizzy, and weak. I got up long enough to speak to my mom, and I look here on WP. Now, I’m going back to bed. I am sorry to hear that, but I hope your doctor comes back soon! Sounds like you accomplished a lot today! You must be exhausted and I hope you get some well deserved rest tonight! I am happy to be your personal cheerleader and hope that I am able to provide some help! Take care of yourself and get some rest!! Thank you, Bloke. I’m getting there, but too damn slow in my opinion. Beckie, how are you doing, l am asking as l am currently in the process of filling out a Blogger’s recognistion award – are you game for a nomination? if not, that’s fine as you know, but l don’t wish to cause you any further stress over sense of being overwhelmed. Aww, You’re so sweet. I’m still not myself as of yet. Thank you, so much for thinking of me for the nomination. I am very touched. 🙂 I feel bad that I haven’t even been able to answer the questions from the last one. Be well! You have really been put through the ringer. You are in my prayers!